This girl's fight with cancer pushed her to invent a life-changing device. Kylie Simonds, from Naugatuck, Connecticut, understands what the struggle with cancer entails. 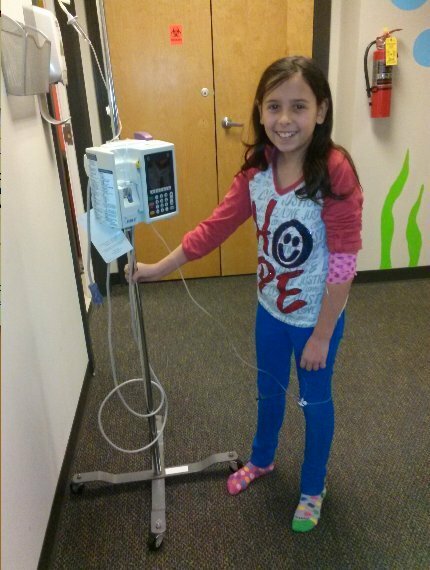 The 11-year-old says she remembers struggling to walk around with IV poles, after she was diagnosed with rhabdomyosarcoma -- a connective tissue cancer -- three years ago, according to WTNH. That's why she invented a pediatric IV backpack: a wearable, portable IV machine for kids receiving chemotherapy or transfusions. The bag even comes in colorful designs. 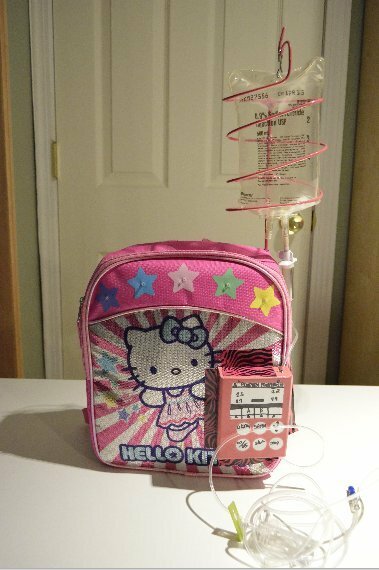 Kylie's colorful IV backpack invention. "It was hard to walk around, and I always had to have someone push it for me because I was ... weak when I was in chemo," she told WTNH of her old IV poles. She said that her IV backpacks "are very light and ... more convenient" in comparison. Kylie with her IV poles during her treatment. Though the invention could serve the needs of many cancer patients, Kylie had two good friends in mind when coming up with the concept: Marik and Brooke, whom she met at hospital during her treatment, according to WTNH. "Marik, he has a prosthetic leg and ... he has crutches and he always has to have someone push it for him but if he had something like that he could just slip it on," Kylie told the outlet. And Brooke, "had to sometimes go home with it and she had to stay overnight in the hospital, so I think she would have really liked something like this." 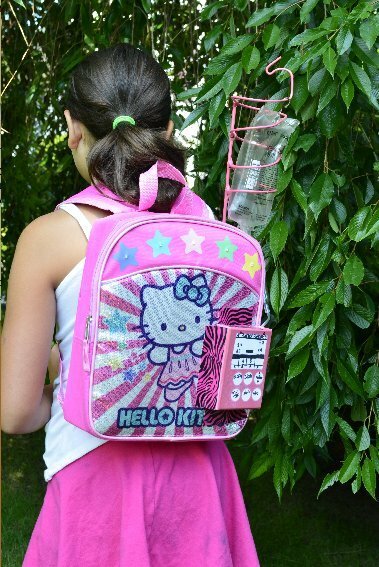 Kylie's creative backpack has already led to several awards after it was entered into the Connecticut Invention Convention, according to Yahoo News. At the convention, Kylie won the coveted Patent Award, which sends the design to the U.S. Patent and Trademark Office. Kylie demonstrates how to use her IV backpack. Convention judges weren't the only ones who admired Kylie's idea. Medical professionals have also voiced their approval of the IV backpack. "I think it’s a wonderful idea. The stigma would fall away from seeing an IV pole [and] it would be very useful for pediatric oncology patients in providing them much more mobility and freedom," Birte Wistinghausen, M.D., clinical director of the Division of Pediatric Hematology/Oncology at Mount Sinai Hospital, told Yahoo. Currently, Kylie, who has been cancer-free for two years, is raising money to create a working prototype through a CrowdRise page that her parents helped her set up. To donate to Kylie's fund, click the 'donate' button in the middle of this story. To learn more about Kylie's invention, you can visit her website here. Cancer causes about 30 per cent of all deaths in Canada: On average, 200 Canadians die of cancer each day, adding up to more than 75,000 deaths per year.